WordPress websites are considered SEO-friendly by default. At least with resources on other CMS in matters of SEO, things are much worse. But still, you need to know a lot of subtleties to significantly increase traffic to your site. And to the owners of WordPress, this task is facilitated by the Yoast SEO plugin which already has 5 million active installations. SEO (Search Engine Optimization) is an optimization in search engines as it speaks for itself. In order to ensure high ranking in search engines, the developers all over the world are working specifically and precisely on it. Yes, we are all hoping for two major things: the first – right after launching the site will be stably fixed in the top on key queries; the second – the resource will begin to collect thousands of visitors a day. But the reality is that – in order for the search engines to notice the site, you need to give up all efforts to optimize it. This is one of the oldest and most popular plugins in the official WordPress plugin catalog with more than 5 million active installations. Most visionary developers recommend downloading and using this wonderful plugin. Yoast SEO configures the pages of the site to correctly display the content of the site in the search engines. solve any internal optimization tasks and issues. Developers of the plugin offer their product in free and premium versions. The free version is suitable for most websites but if you want to expand your SEO settings, you will need a premium version. Where to download the Yoast SEO plugin? Download the product from the official WordPress catalog here. Go to the admin panel in the Plugins -> Add new and search for Yoast SEO. In the search results, there will be a Yoast SEO plugin. Simply click the “Install Now” button and then when the installation is complete you will see a blue “Activate” button as shown in the following screenshot. You just need to click on it, and the Yoast SEO plugin will be ready for use. After the plugin is successfully installed and activated, the SEO option with the Yoast logo appears in the WordPress left panel as shown in the screenshot below. To get started with this plugin you just need to click on it. Installing the plugin is an easy task and it will not take more than a minute if your server is fast enough. 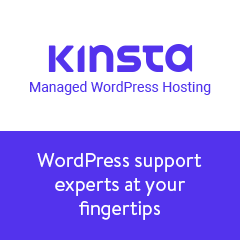 The main task is to configure this plugin for your WordPress site. This is all that we will tell in our steps. First, we will analyze the basic configuration of the plugin in 10 steps. In the latest version of Yoast SEO, features such as titles, metadata and site map are included in the advanced settings mode. By default, they are disabled. In the screenshot, you can see in the left panel, according to the Yoast SEO version, only the Dashboard, the Search Console and Go Premium are displayed. To see other options, you need to enable advanced mode by clicking on the “Features” tab at the top. Before this let’s talk about a new configurator included in the Yoast SEO plugin which simplifies the basic configuration process. Follow these steps to perform basic SEO customization using the new Yoast SEO plugin configurator. Step 8: Authenticate using Google Search Console. If you already have an account in the Google console, you can sync it with the Yoast SEO plugin. Just click on “AUTHENTICATE” and confirm the action. To make it work, you must be logged in to your Google account. The received code should be inserted into the Authentication Code field and click on the “Authentication” button. If you do not have an account in Search Console, just skip this step. Step 12. Success! Congratulations, basic settings are managed! The aforementioned preset setup steps are similar to “Yes / No” questioner and you could easily answer them and, thus, configure. To be sure of your success, we have attached screenshots. For basic SEO, these settings will be enough, but if you want to make the site untwisted, get more traffic and compete for the top 10, you will need more SEO settings. The advanced settings of the Yoast SEO plugin we described below. And do not forget to click the “Save” button right below so that all the changes would take effect! We will quickly dwell on the main settings. In this section, you can authenticate your site using the Google Search Сonsole or check the status of authentication. Here you need to authenticate social network profiles so that search engines judge which social profiles are associated with your site, to display them in the search while people are searching for keywords related to the brand of your site. After publishing a new article on the site, make a repost. Once the post or tweet with a fresh address appears on the Web, search engine robots will visit it. There will be a momentary indexing of a fresh page of your site. The tools contain very complex developments such as code editors which most of us do not need to resolve. The import and export feature is very important over here which we can use to export the Yoast SEO settings from one WordPress site to another in seconds. Thus, it will save a lot of time on reconfiguring the plugin on another WordPress site. To distill down to the end of the day, this plugin which we have shared now has a lot of fine-tuning and advanced features for search engine optimization. It will no doubt provide a solution to the basic tasks of the SEO optimizer and will protect your site from gross errors, incorrect indexing, or incorrect keywords. At the same time, work with SEO is partially automated, but some part of the work will have to be done manually. One thing is unchanging – the use of Yoast SEO will improve the position of your site in search results, and, in addition, will positively affect the number of end-to-end and incoming clicks, as well as attract additional traffic and new visitors to the site. We hope this guide helped you install and setup WordPress SEO plugin by Yoast. You can also want to see our step-by-step ultimate WordPress SEO guide for beginners. Do you already use the Yoast SEO plugin? Share your experience in the comments below. When I am looking for the yoast installation and setup guide just landed this website as this awesome website is really a Progressive Web Portal? It will help your users to easily add your website into their devices and will act like an app and can navigate it offline. Top brands already implemented it and noticed a high-performance increase. I have followed all the steps and also make it at best. But one more think can you please update the post with the latest one yoast seo plugin as they have updated the yoast plugin with more functions. Hello! Please contact our support team by pressing the rounded button on the right corner and type your question. They will help you with any issue you have!